The i-Slots created by Rival Gaming, one of the leaders in supplying online casinos with gambling software, are probably some of the most interactive slot games that you will come across on the internet. They may not be state of the art 3D slots, although they feature very modern cartoonish design, but they surely can keep a slot player busy. You will not find anything similar at the moment, a slot game where a particular storyline unfolds as you wager and spin the reels, a storyline that can be affected by the player. Getting tired of i-Slots is not that easy as you would with other slots. They feature alternate endings depending on the outcomes, and most of the time you will be prompted to make decisions in second screens, where you have to pick your multiplier or bonus amount. The outcomes of the reels involve several of these second screens and can be activated with particular symbols, for example, in the Bank Heist slot if you are chased by the police you need to consecutively hit three car symbols until you have managed to escape the police and open up a screen where you can choose your multiplier. What Are Rival Powered i-Slots? These are simply slot games, dubbed as interactive. Each of them features unique theme and characters used in the plot of the story. When you launch an i-Slot game, first you will be introduced to the story, the gameplay features and you will receive basic explanations on how to affect the storyline. There are also many animated cut-scenes that are played throughout the game while playing. As the story unfolds, different scenarios will be presented to you, and you will need to make decisions on how the game will proceed. These decisions almost always include either getting multipliers or additional bonus money via free spins or clicking on certain icons on the second screens. To activate any of these features or second screens, you have to hit the appropriate symbols. There are two titles that we would recommend based on their features and how they can keep a player entertained. One is the Reel Crime: Bank Heist, where you have the role of a classical 1930s gangster looking to rob a bank, and the other is Baby Boomers: Cash Cruise, where you have the role of a hard working man looking to take a cruise. Both have interesting bonus rounds, free spin rounds and multipliers up to 5x. Other i-Slot titles you might want to play are As the Reels Turn 1, 2 and 3, Cosmic Quest: Episode One and Episode Two, Hole In Won, Spy Game etc. The best destinations for playing Rival’s i-Slots are the online casinos Malibu Casino that is open to U.S. players and Video Slots. They both have nice welcome bonuses: Malibum Casino has a 100% match bonus up to $1,000 free bets including an exclusive $35 no deposit bonus for to any new player that registers his first Malibu account with us, while Video Slots has a special 100% welcome bonus up to $/€1,000 for exclusively playing slots. In summary, i-Slots are definitely some of the most unique slots found on the internet. By introducing them Rival Gaming has managed to open up an entire new world for slots and to provide an entirely different way in which slots can be played. 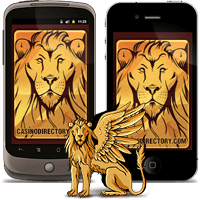 Furthermore, i-Slots are available for playing on any iPhone, Android, Blackberry, or Windows device. Rival Gaming has a great and effective mobile gaming platform that allows fast loading and seamless playing. Try our recommended Rival powered casinos and see for yourself.